I do believe the microwave (with its silhouetted banana)is a Stein's Gate reference. The triangles might be Star Destroyers...it's hard to tell. Pretty sure that flying car is the Delorian from Back to the Future. Those sure as hell look like Victory or Imperial-class Star Destroyers to me. Adding tags. Tagged Dr. Who, the Tardis, and the Eleventh Doctor (based on the silhouette's Sonic Screwdriver). Whoever made this is awesome. 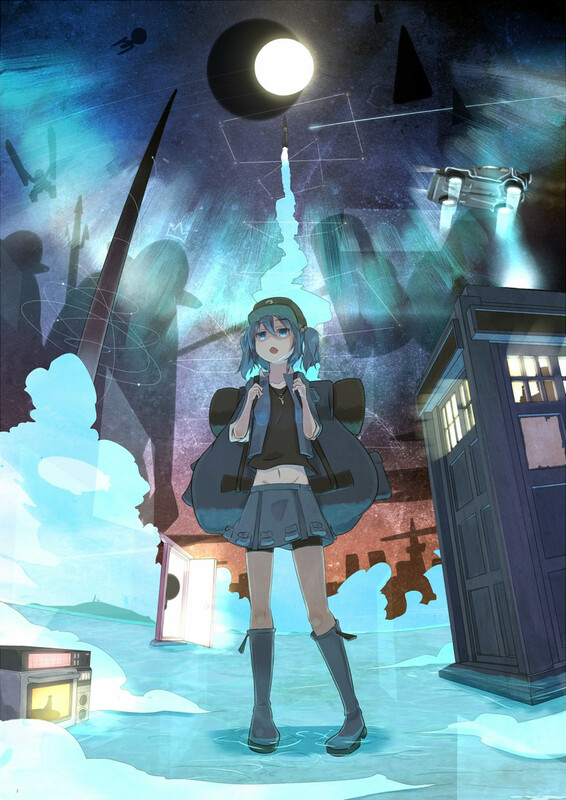 Nitori is in geek heaven right now.